As a parent, I think it helps if we give some thought about our children's education from the time they are young instead of waiting for the days when it gets closer for them to go to university or college. Starting to save when they are small also takes off a load of stress in the future when they need the money for education. I was part of the private school system up to grade eight, so my tuition fee was a big portion of my parents' financial expenses. My parents did start saving from the time I was in a public high school, but the funds were not enough to pay for university. When I graduated from University, I graduated with a debt and scrambled to pay it off and most of my earnings went towards paying my student loan. When I had my own children, I thought about how important it is to start saving for them starting at a young age, so they don't have to be stressed about money and expense of education whatever they choose to do. I am glad I got to know about RESP when I was having my children, which helped me decide what works for us, and put a saving monthly and treat it as an expense because with all the other monthly expenses it can become difficult. I was happy to know we have the flexibility to use the RESP for university, college, apprenticeship, non-credit courses and more. In case the child doesn't use the funds the money can be used as contributions and earnings to fund our RRSP. With advice from RBC, it's easy to start without being overwhelmed. You can receive free money from the government under The Canada Education Savings Grant that matches up to 20% on the first $2,500 contributed annually. That could mean up to an additional $500 a year in the RESP, up to a lifetime maximum of $7,200. It is easier to save for a child's education if we start early and contribute regularly for example $25 a week can add up to $50,911 in 18 years. 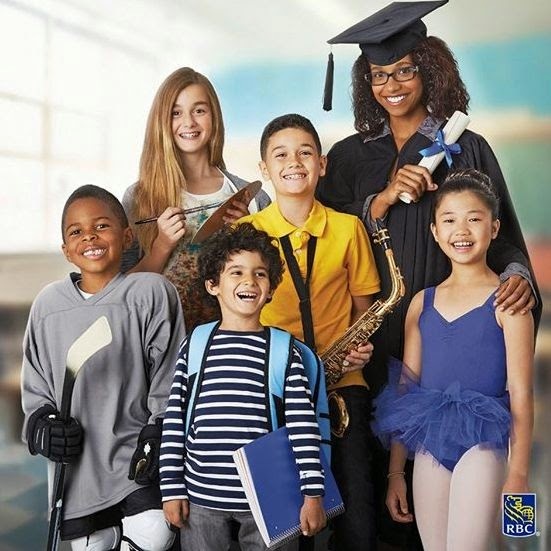 Winners can Get a head start in saving for their child’s dreams by entering the Grow Your RESP with RBC contest and win $500 to go towards an RESP. There are 4 prizes to be won. Join @RBC_Canada on October 1st with the hashtag #RESPwithRBC and get a chance to win one of 6 $100 gift cards. Thanks for the useful and important information!